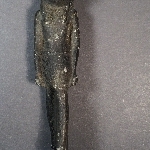 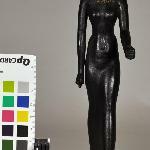 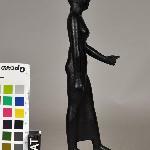 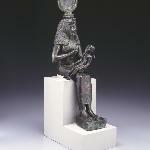 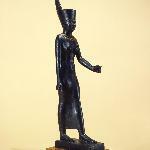 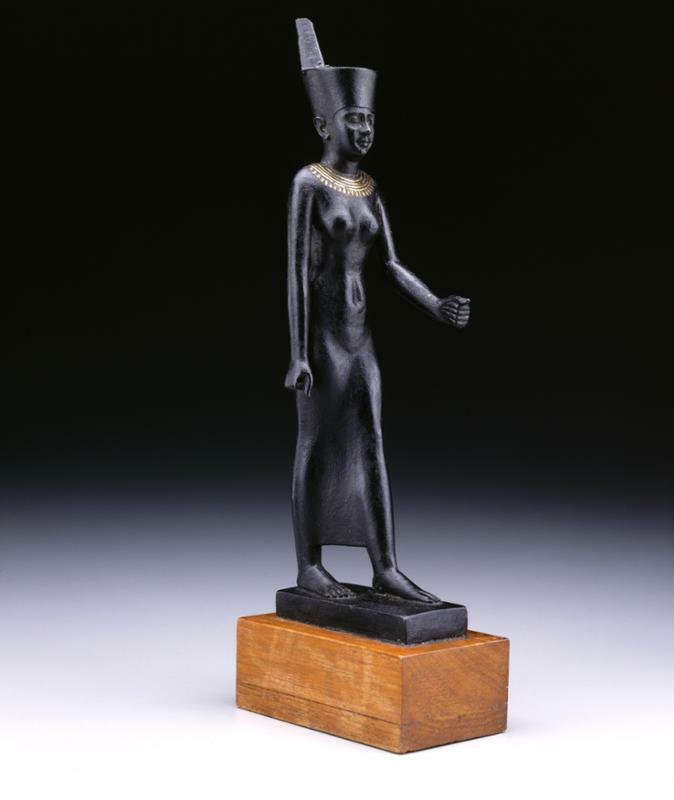 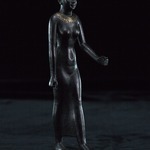 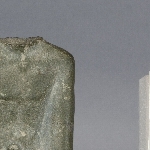 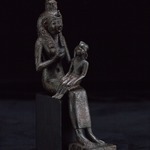 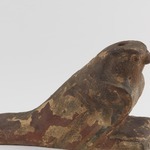 Standing bronze statuette of Neith wearing a long, tight-fitting dress and the crown of Lower Egypt. 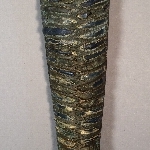 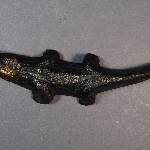 The broad collar is inlaid with gold leaf. 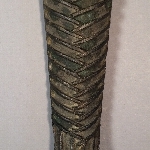 Currently attached to wooden base.